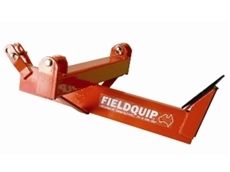 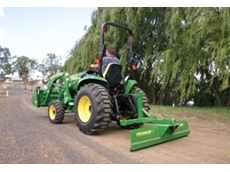 Heavy Duty Grader Blades are ideal for maintaining tracks and other agricultural applications. 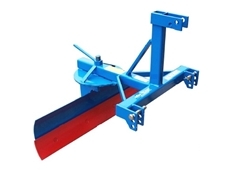 HydraPower supplies a range of agricultural attachments including angle sweepers, load ramps, bucket brooms, debris scrapers, and excavation rippers, levelling bars, drill rigs, mulchers, slashers and stump grinders. 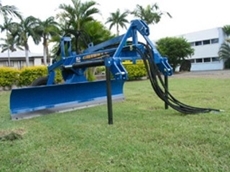 02/09/09 - Available from Grizzly Engineering, GM95 grader blades feature a unique three way hydraulic adjustment on offset, angle and blade tilt that allows for on-the-move changes, fast and efficiently.